To help CHRA align and coordinate panelists based on topic/focus area of presentation. Three or more speakers from different organizations may be brought together at each of the concurrent sessions in order to encourage a diversity of perspectives on a topic. Please indicate who from your organization will be making the presentation. *One speaker per organization is preferred on each panel. You may also add suggestions for additional speakers on the topic external to your organization, that CHRA will take under advisement. Please suggest (if applicable) a potential session moderator or facilitator who could bring a depth of experience and leadership to the panel. CHRA will take this under advisement. All concurrent workshops are 1.5 hours in length. Depending on final number of panelists, presentation length per panelist may vary from 20-40 minutes approx. For each confirmed speaker, please include a link to their biography either via an organizational website, LinkedIn or other online source. One link only per speaker please. Session rooms will include microphone, laptop, screen and audio capabilities, and basic Internet will be available. There will also be a head table for speakers, and a podium. Please bring a back up of your presentation and/or video on a USB. Should you require other than the standard, such as a flipchart and markers, please indicate so below. Requests will be subject to availability and cost. Presenters will be responsible for the copying and distribution of any handouts they may wish to provide. 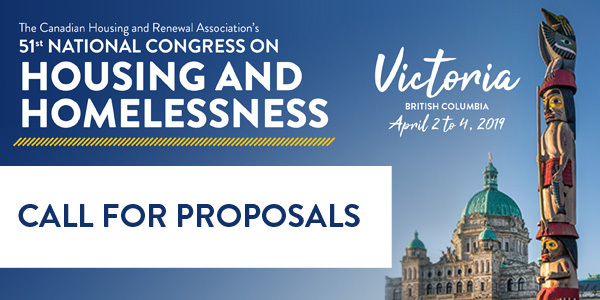 We encourage you to allow CHRA to post your presentation following Congress to reduce the need for any additional handouts. Early Career Professional (ECP) submissions will be evaluated alongside all other submissions, and may be integrated into the overall Congress program or within a focused ECP workshop or panel. Thank you for your time and interest in putting forward a proposal for Congress 2019!